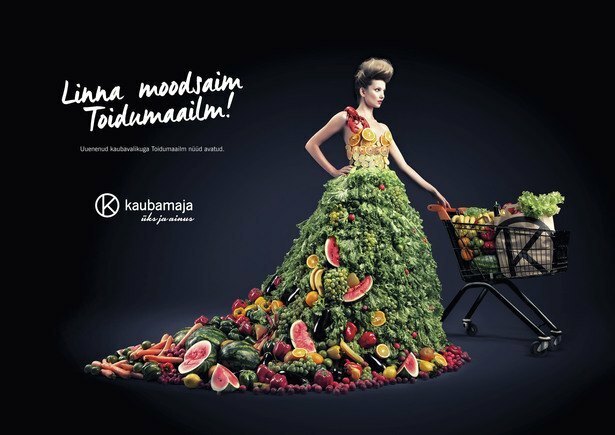 Print ad for the Kaubamaja department store, which opened the most modern supermarket in Tallinn. The most fashionable gourmet department in town! New variety of goods in a more spacious environment.